Spring into Ambience for Nightcap! 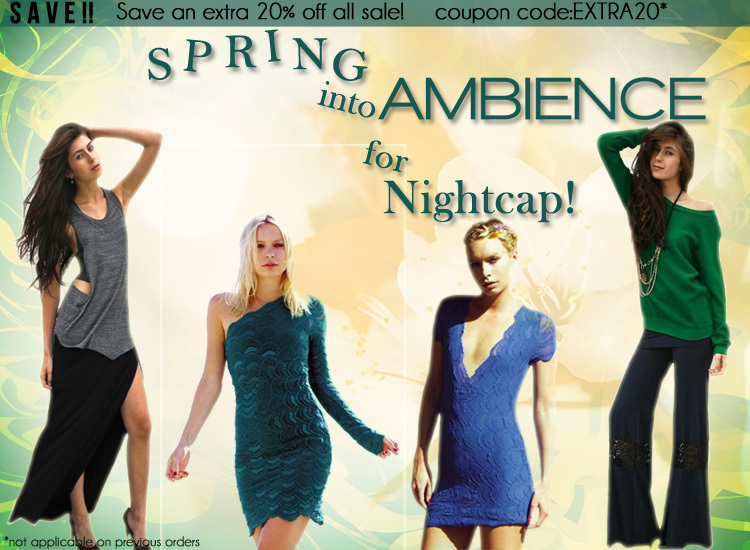 Spring into Ambience for Nightcap before it flies out of the store! Lace, mesh, slits, and plenty of gorgeous color to go around. Nightcap is the way to go for an effortlessly stylish Spring wardrobe! That's not all! If you use coupon code EXTRA20 at checkout, you can enjoy an additional 20% off of all sale items! You won't believe how much you save!